A 1996 graduate of Peoria Richwoods High School, Robinson is one of the most-accomplished high school boys basketball players, not only in the Tri-County area, but the state of Illinois. 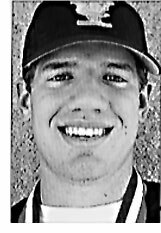 A three-time all-state selection in 1994, 1995 and 1996, Robinson was a 1996 Parade Magazine All-American and the 1996 Gatorade Player of the Year in the Midwest Region (seven states). Rated the No. 1 high school player in the nation in 1996 by Slam Magazine, Robinson ended his prep career as the Peoria area's all-time leading scorer with 2,944 career points after averaging 30.2 points per game his senior season, when he also averaged 11.3 rebounds and three assists while shooting 55 percent from the field. He remains seventh on the all-time scoring list in the state of Illinois. After graduation from Richwoods, Robinson went on to an all-star playing career at Purdue, followed by a lengthy professional playing career overseas. He earned a spot on the Big Ten Conference All-Rookie first team as a freshman in 1997, as well as the 1998 Big Ten Conference All-Tournament Team. He remains one of the few players in Purdue history to score at least 1,000 points, grab 500 rebounds and dish out at least 200 assists. 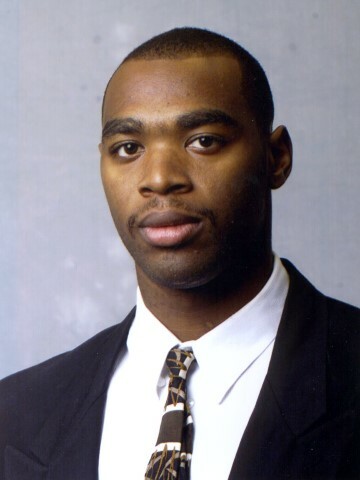 At the time of his graduation in 2000, Robinson ranked fourth in Purdue history in career games played (132), 10th in rebounds (658), 22nd in scoring (1,322 points) and 13th in minutes played (3,459). While Robinson has participated in several NBA summer camps, he has excelled in international professional leagues, primarily in Argentina. He averaged a career-best 23.5 points per game for Pico FC La Pampa in Argentina's Liga-A in 2003-04 and most-recently averaged 14 points and six rebounds this past season for Argentine club Progressita.